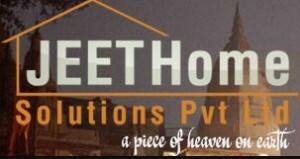 “Jeet Home Solutions Pvt. Ltd.” is one of the real estate developers in residential and commercial sector. It deals in all kind of property development like luxury and premium homes and flats. In its every development projects are designed to showcase the traditional grandeur of the state’s architecture. It is an utter pradesh based construction company and major operation area is around varanasi is the major operational area of the company and head office is also situated there also.